Our fine dining experience features menu variety, fresh healthy food sourced locally in season, wait service, and an Executive Chef who prepares meals inspired by the Mediterranean region. Our award-winning Brain Healthy Cooking Program is based on the healthful Mediterranean diet, which has been scientifically proven to boost overall brain health and cognitive function. 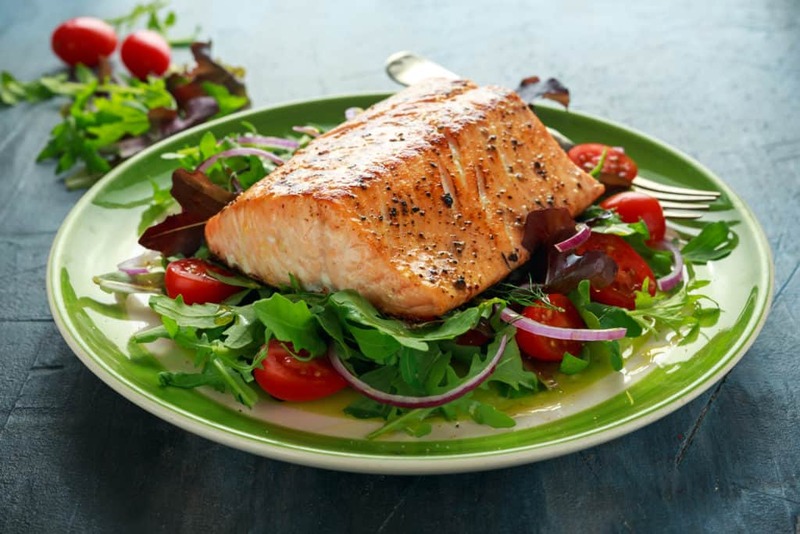 The wide variety of “brain healthy foods” we incorporate into delicious recipes includes fresh vegetables and fruits, whole grains, spices, nuts, olive oil, eggs, lean meats, fish and seafood. Our Executive Chef also creates healthful variations of our residents’ favorite traditional and regional recipes by substituting natural sweeteners for refined sugar, replacing saturated and trans fats with healthy fats, and using tasty spices to cut back on salt. All this provides the body with potent antioxidants and nutrients with anti-inflammatory properties, essential to brain health. It has also been proven to promote heart health and is great for seniors managing diabetes. Ask our residents how delicious it really is! Copyright 2019 © Goddard House, All Rights Reserved.